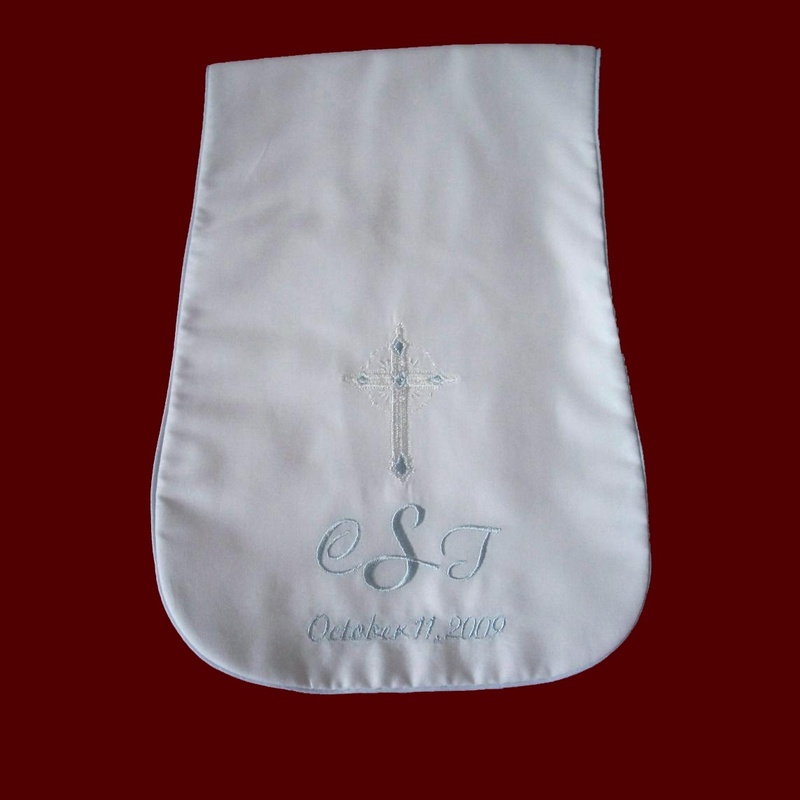 Burp pad embroidered with cross design and baby's name and christening date or monogrammed with baby's initials and date. Boys is trimmed in piping and girls has lace edging. Available in white or ivory in the following fabrics: Cotton batiste (shown), satin, silk dupione, shantung, linen batiste, Irish Linen or cotton sateen. Embroidery can be all white, all ivory or with pale blue or pink accents. **New cross designs to choose from. Irish accents may be added to all items on this website. Your choice of saying also available, please add to special requests.